I have been very fortunate to stay at some pretty spectacular properties over the past few years, and as grateful as I am for that, I will fully admit that it’s getting a little harder each time to find properties that just take my breath away. Each time I stay at one of these properties, I think “how am I going to top this one?” In researching my visit to Gateway Canyons, I knew I would be in for something a little different but, as it turns out, I had no idea I was in for several breathtaking moments. My journey began on the one hour drive heading southwest on Hwy 141 from Grand Junction to Gateway, Colorado. Believe it or not, my first breathtaking moment happened on this scenic highway as I followed the winding path through the gorgeous Unaweep Canyon. As I rounded a particular corner, my view expanded as the road straightened out unfolding the beautiful landscape before me. There is nothing more spiritual than that moment when you feel so small and humbled by the reminder that there is something greater at work. As I was approaching my destination, the landscape started changing into red rock mesas with rich striations in different colors and unusual shapes creating, yet another, awe-inspiring moment. 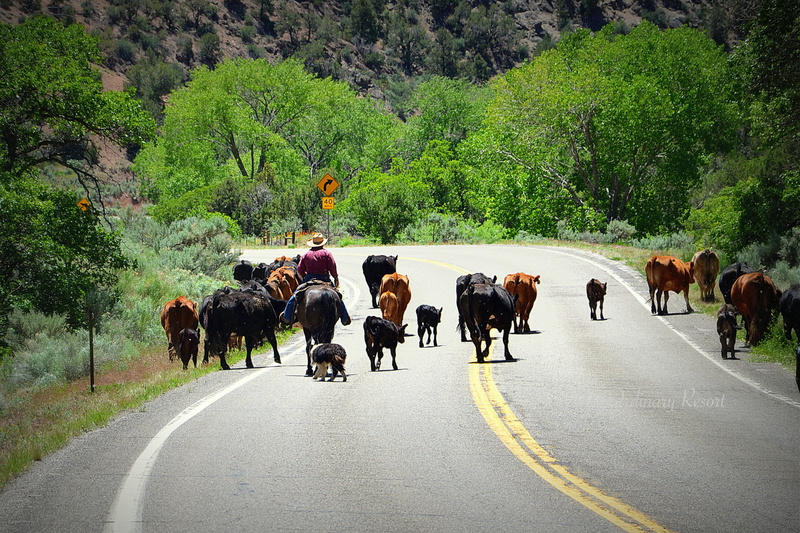 But I must admit, one of my very favorite moments on the drive was getting stuck in Colorado rush hour traffic when this California girl approached a real-life cowboy moving an adorable herd of cow to their destination. If I didn’t know better, I almost would have thought that the resort had staged this to add to the ambiance of the trip. 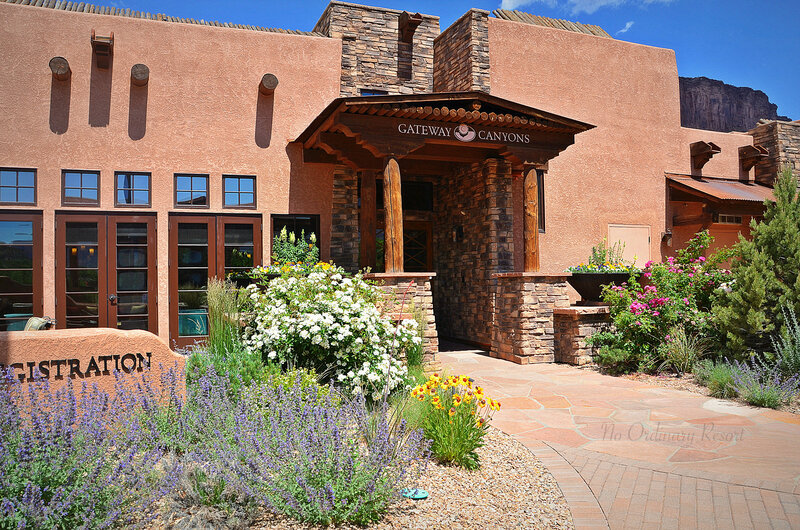 Gateway Canyons Resort is the vision of John Hendricks, the founder of the Discovery Channel. It may seem odd that a broadcasting giant would take on building a resort, but when you learn of the stories he heard as a child from his father about the beautiful red rock country in Colorado and how moved he was upon seeing it with his own eyes, it’s apparent that Mr. Hendricks had a clear conceptual vision of what he wanted to create. He has managed to do an exceptional job in translating the initial concept of the Discovery Channel ~ to educate, explore, discover and be curious ~ and incorporate it into a recreational resort that allows the guest to explore and experience their interests first hand. As you approach this oasis that suddenly appears out of nowhere, it’s easy to see how Mr. Hendricks fell in love with this area. 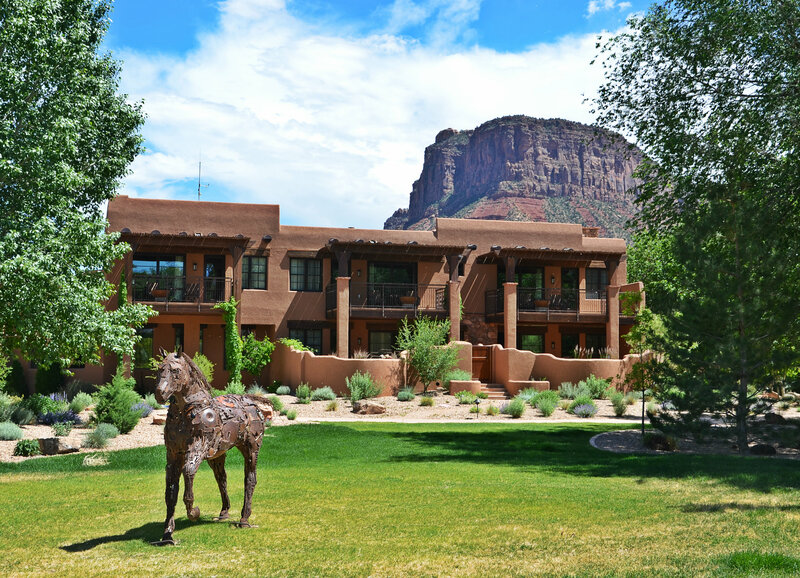 The resort resides in the middle of a valley that is the convergence of 5 canyons and is surrounded by stunning red rock mesas from every angle. The most prominent mesa and focal point is the Palisade, a stunning red rock with its pointed tip proudly staking its position over the resort. And although the resort is remotely located (the “town” of Gateway consists of one general store and is an hour away in any direction from the closest populated city), I dare you to get bored here. With the likes of such activities as hiking, biking, kayaking, off-road tours, guided fly-fishing, rock climbing, horseback riding, air tours, driving school, curiosity seminars, concerts and so much more (whew! ), you could occupy yourself for weeks. The check-in process is calm and relaxed. There is no huge round-about to navigate as you drive up with valet, bellman, and doormen surrounding you. You quietly park at the entrance and walk inside to the subtle lobby and are greeted by the friendly staff. My reservation was for the Kayenta Lodge but I had specifically wanted to experience staying in a Casita which was not available at the time I booked. I asked if one had become available but there was not one available for the full duration of my trip. The staff really worked with me and we were able to book a few nights in a Casita and the remaining in the Kayenta Lodge. I really appreciated the fact that the staff made the extra effort to satisfy my request because in the end, staying in the Casita really made my trip special. The property consists of 72 units ~ 7 stand-alone Casita buildings (two units each), along with the Kiva and Kayenta Lodge rooms (two-story, multi-room style buildings). 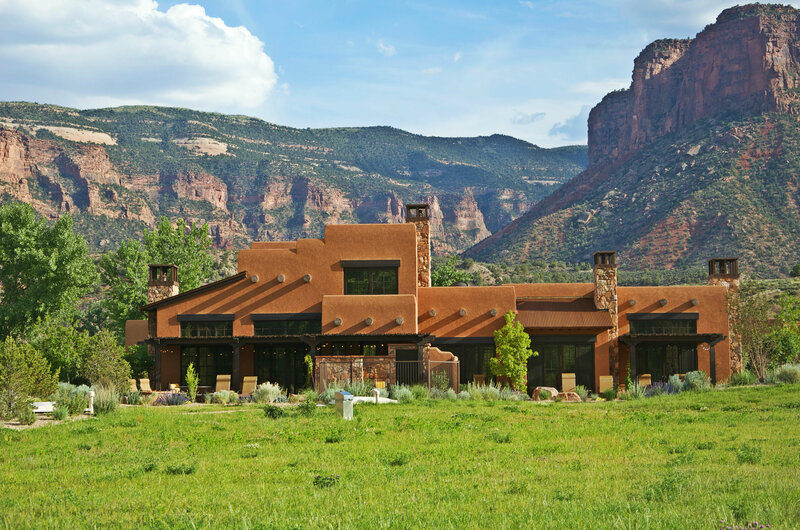 The resort was built in 2005, with the Kiva Lodge being the first phase, the next phase added was the Kayenta Lodge, and the most recent addition in 2013 being the Casitas. The Kiva and Kayenta Lodges offer Deluxe, Signature and Premium categories along with the option of a Suite version which adds a separate sitting room. The Kiva building also offers their version of a Casita called the Grand Kiva Signature Suite. 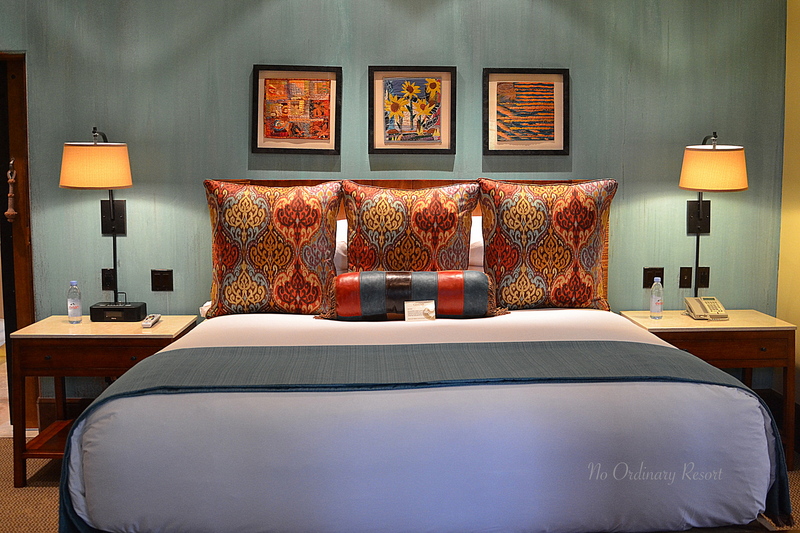 The distinction between the categories are that the Deluxe rooms are the basic king size bedrooms some with fireplaces; the Signature category are larger rooms with a king size bedroom and the Suite version adds an additional living area. These rooms are located on the lower level and all offer different combinations between outdoor spas with interior and/or exterior fire places. The Premium category, for the most part, is the same as the Signature, however, they are located on the second floor and don’t offer outdoor spas but do have fire pits on the patio. All rooms offer large bathrooms and nice amenities. The rooms were designed by a local interior designer and are decorated in rich woods, interesting fabrics, Peruvian furniture, a custom-made paint patina in the bedrooms and my favorite feature, rolling barn doors separating the rooms. The rooms are all very nice and quite similar in style, however given a choice, I would suggest booking the Kayenta Lodge (preferably facing the Palisade) over booking a Kiva Lodge room as they may possibly have better locations on the property and the interior finishes are slightly more upscale, probably due to the Kayenta Lodge being a little newer. 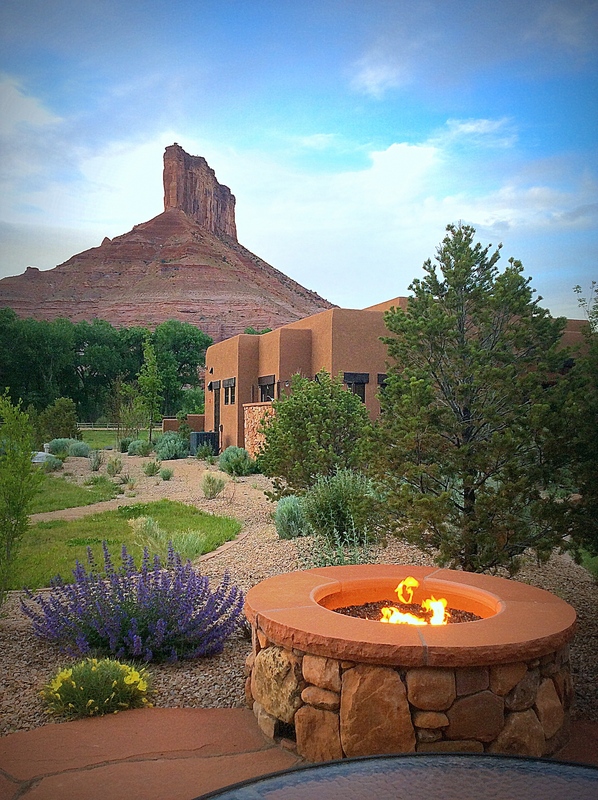 For part of my trip, I stayed in a Signature Suite category room in the Kayenta Lodge (room 103) and had a view of the Palisade along with an outdoor spa and fireplace ~ an excellent option for a room in the Kayenta building. Room 105 was very nice as well, had a nice red rock view, along with an outdoor fireplace but no outdoor spa. Since all categories offer different amenities in each unit and there are so many choices, be sure to specify what amenities you want when booking (i.e. indoor and/or outdoor fireplace, outdoor spa, separate living area, etc.). 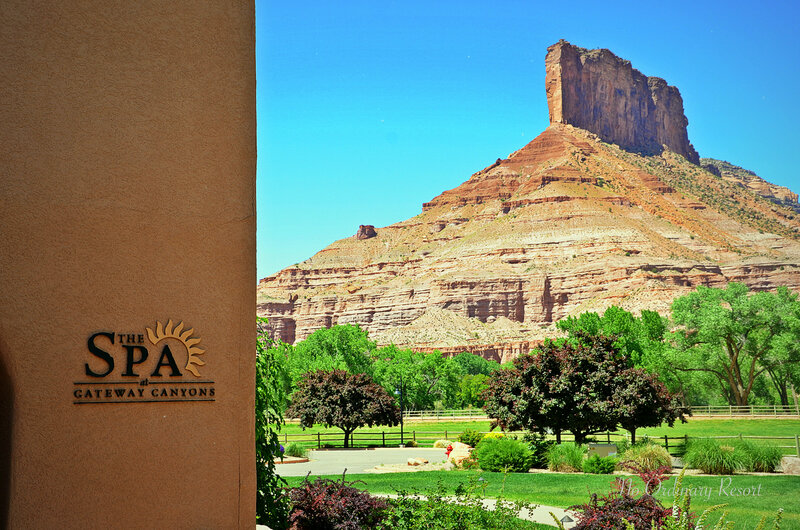 The Palisade view is probably the most requested, however, I encourage you not to give up other amenities you want just to book that view because the resort is surrounded by the red rocks and every room has a nice view. 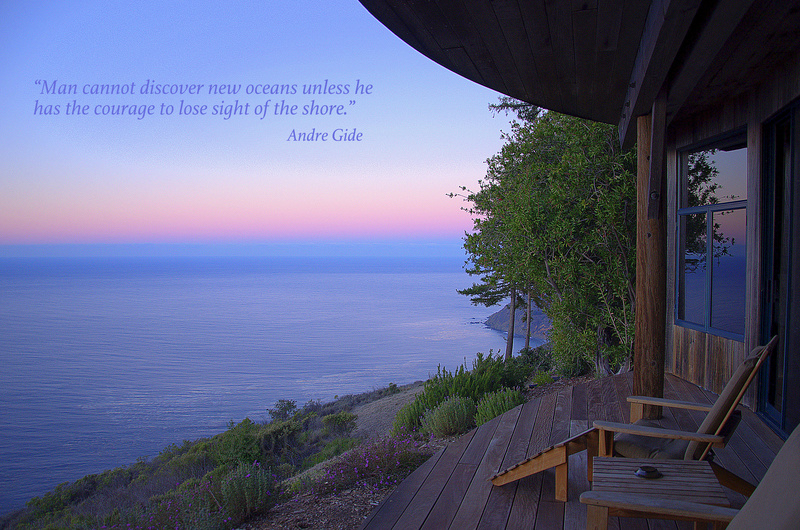 But if you truly want the most luxurious experience, I strongly suggest splurging on one of the Casitas. As mentioned, these are stand alone buildings with two units each and are spaciously staggered at one end of the resort for privacy and are located closest to the Palisade. Each Casita is a one bedroom suite and there is the option of combining the two units to make a 2 bedroom Casita if you are traveling with family or friends. In my opinion, although the interior design is similar in style to the lodge rooms, there is a distinct difference in the feeling of luxury. The Casitas are much larger in square footage and much more private giving a more residential feel rather than a hotel feel. All Casitas have outdoor fire pits and some have outdoor spas. The Stargazer Casitas offer a second story loft that offers a sofa sleeper and balcony. The Stargazer Casita is considered the highest category and there are only two of these units available. I stayed in the Scorpio (all Casitas are named for an astrological sign) Stargazer Casita and highly recommend it for its location and exceptional view of the Palisade ~ kudos to the architect who designed the Casitas to take full advantage of the views of the stunning mesas from every angle. The other Casita with an exceptional location and view of the Palisade is the Taurus building. The experience of staying in this Casita made my trip. For a moment in time, I felt as though I was staying in my own personal vacation home. In the evenings, sitting in the outdoor spa with the fireplace going and the outline of the Palisade looming over the Casita was a surreal experience. As always, it’s my intention to fully disclose all information, and for that reason I will admit that there were two minor mishaps, not worthy of mentioning, at each of the rooms I stayed in. 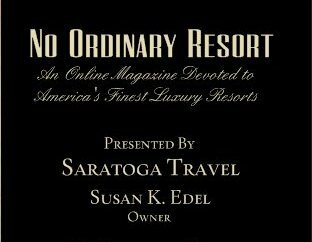 However, the sign of a true service-oriented resort is one that responds immediately to the situation and rectifies it to the best of their ability ~ and that is exactly what happened in my situation. Maintenance was out within 5 minutes (both times) of my call, was very professional and resolved the issues to my satisfaction. It is a given that incidences are bound to happen no matter where you go, however, it’s the difference of how the resort responds to it that makes or breaks the experience for you. Thumbs up to Gateway Canyons for how they handled it. There are several dining options on property: Entrada and Paradox Grille are full service restaurants. Paradox Grille offers a more casual fare with a relaxed bar and game room while Entrada offers options for a more sophisticated palate; The Kiva Cafe off the main lobby offers beverages, coffee drinks and convenient items for those wanting a lighter, quicker option; The Cantina offers casual poolside meals for lunch and an early dinner. In-room dining is also an option. There is a very nice fitness room offering a large variety of exercise equipment along with yoga and fitness classes. I feel like I should start this section by saying what’s not unique to this property? The first undeniable factor is the stunning and unique red rock mesa landscape. This is not a sight you will find just anywhere. 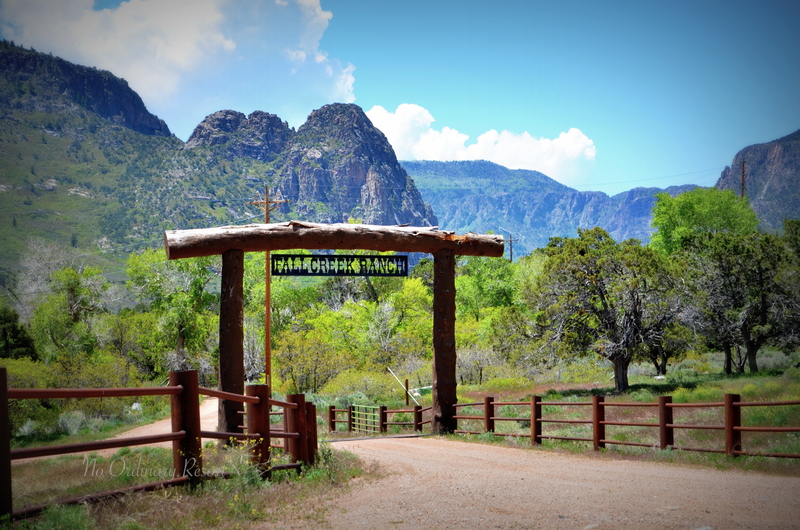 There are also many interesting places to visit in the area such as Grand Junction, Telluride, and the day trip I took to Moab and National Arches Park. Then, there are all the engaging experiences offered at this property such as the Adventure Center which offers almost any adventure you can imagine…and if they don’t offer it, I truly believe they would find a way to make it happen for you. There’s hiking, biking, off-road touring, kayaking, wine tours, fly-fishing, and on and on. I took the UTV tour (twice) and had a blast. 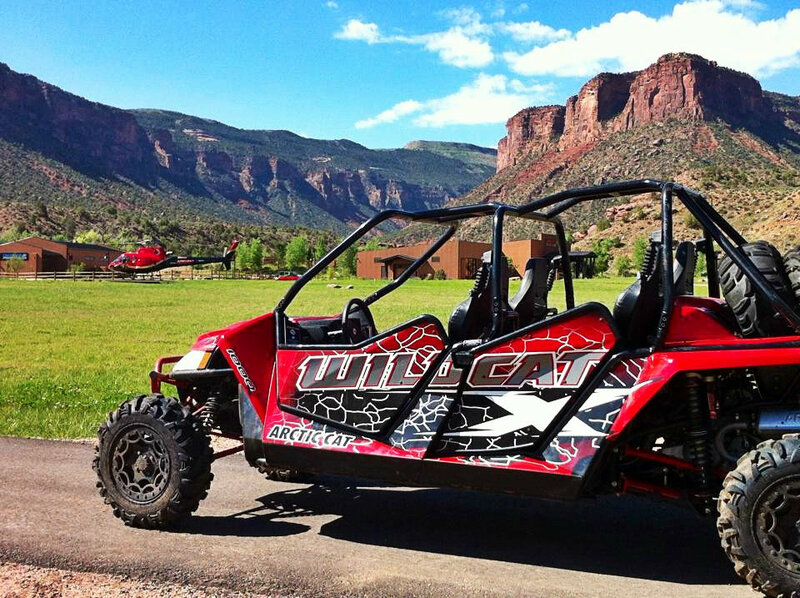 The surrounding canyons offer the perfect setting for off-road touring with gorgeous scenic views from the top of the mesas – my favorite was the “outlaw” cabin tour. 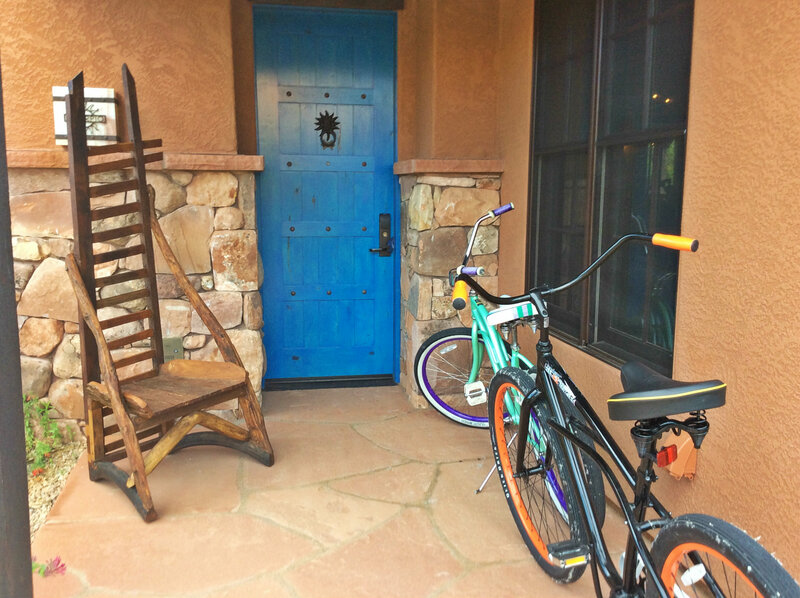 The Adventure Center also loans complimentary bikes to the property guests, and although they state they are a four hour rental, if the property has low occupancy they seem to be generous in letting you keep them throughout your stay ~ this is a perfect way for getting around and touring the property. I will be posting a more detailed account of my adventure experiences soon. Some other amazing experiences offered are Air Tours: offering helicopter tours, Auto Museum: a showing of Mr. Hendrick’s unbelievable personal car collection, Driven Experiences: Pro Baja driving classes and rentals of extraordinary luxury cars, Curiosity Retreats: retreats for inquiring minds, The Stables: horseback riding, and more. Not enough for you? How about a private concert series for resort guests only with the likes of performers like Kenny Loggins, Chris Isaak, the band America and others. There is also a small theater where you can request to watch some of the fascinating documentaries made by the Discovery Channel. I must say that this resort truly exceeded my expectations in regard to both its unique setting, and abundant offerings of recreational and intellectual experiences. I felt like I had been initiated into a secret little world that I never knew existed. This property is a perfect option for anyone who wants to do nothing but decompress from their busy life or the person who seeks to experience new adventures, engage in outdoor activities and discover something new. What you’re not going to find here is a raging nightlife, so if you’re looking for a nightclub with a disco ball, head to New York or Las Vegas. In hindsight, my only regret was not staying longer as there were too many things to do. I can honestly say that this resort has risen to the top of my unique destination list and is the true definition of No Ordinary Resort! This sounds like my kind of place! Take my money please!